In interpreting this parable, I found it helpful to be reminded that the manager ran the show for the rich man, who was most likely an absentee owner. The manager had what we know of as “power of attorney”. It was customary in those times to add a commission to the stated rental agreement for your own gain. Recall that was one of the issues with those tax collectors. They were supposed to collect a set amount for the Roman emperor – any additional funds they collected went into their own account. Good incentive for collecting as much as possible without worrying about the economic effect on the person paying the tax. Here we have a manager that is going to get fired. We don’t really know what he did to get in trouble with the owner, but those actions aren’t relevant to the story. Several biblical scholars interpret the changing of the amounts on the bills as the “manager” removing his commission. The owner hasn’t lost anything. The manager loses financial gain, but is gaining some security for the future. I had always found it strange in Verse 8 when Jesus says “And his master commended the dishonest manager because he had acted shrewdly”, but in this light it makes some sense. What about the rest of that verse “for the children of this generation are more shrewd in dealing with their own generation than are the children of light.” Jesus is getting his disciples, ‘the children of light’, to see that they must think and act differently than their peers. Recapping, Jesus is journeying to Jerusalem. The stories we have heard are attempts to show his followers just how they would be able to get into the Kingdom of Heaven. It started with humility and hospitality. Don’t trust your earthly position or success to get you into God’s banquet. Show hospitality to everyone. Next, be willing to sacrifice – to make the hard decisions that come with following Christ. We must be aware that everyone will not understand what we are doing. Last week we were encouraged to not be judgmental. God loves us all. In this morning’s gospel, Jesus instructs us to give up some of our wealth (ill-gotten or otherwise) to help the poor and needy and we, in turn, will receive a share of that heavenly reward. The truth is you cannot serve God and some other master – you can only serve one – you choose. Earthly wealth or everlasting life. As humans, it is difficult to follow in the footsteps of Jesus, but then I think he understood that. His parables and teachings are our encouragement to keep trying – to keep picking up our cross, whatever it may be, and getting back on the path that leads to him. Perhaps you are now realizing why we do ‘Recovery Sunday’. We all have at some time or another attempted to serve two masters or maybe just one and it wasn’t God. The Twelve Step programs are people helping other people with a true desire to overcome the ‘other’ master, and to live a life serving, in our language – God, but in their language ‘a higher power’. Some of you are very familiar with the program; it has saved your life. One of the assignments for the Pastoral Care class I took in seminary was to attend a twelve step meeting. We were to observe only, and we needed to get permission to attend the meeting from those who were leading it. Two of us showed up at an AA meeting early enough to explain to the leader who we were and why we wanted to ‘sit in’ on the meeting. Again we were warned not to participate, not to introduce ourselves, not to explain why we were there, and to remember the confidentiality that surrounds these meetings. Let me just say that it was a powerful experience. It was hard not to cry, and I just kept thinking, there but for the grace of God go I. As emotional as the meeting was, it was also uplifting. The ‘children of light’ in action. Holding each other accountable, but encouraging those who were walking the walk and those who had strayed during the past week. Lifting each other up; supporting those that were trying to change unhealthy habits. I don’t know how members of the program feel as they leave a meeting, but I was amazed to witness what people can do for each other. That would be one of the reasons I’m so thrilled that we are able to provide meeting space to the different groups that meet here. Not everyone can turn from addiction on their own. How comforting to know that whatever ‘master’ may have enslaved a person, there is a group of those who have overcome that addiction and are willing to help others do the same. In our collect this morning, we ask God to help us love heavenly things, to keep our focus on the one master who brings us those things that endure – everlasting life, a heavenly banquet. The lessons for us are the same as the ones Luke wrote for the early Christian church. Together we strengthen our small community so that we can go out and help those in the larger community. We must live in this world without forgetting that we are ‘the children of light’. Amen. As the above definition makes clear, “Christian formation” is a process that encompasses a lifelong journey. It isn’t something one can “check off” as having completed. In this article, we want to focus on the component of the deacon’s formation that involves the formal education that emphasizes Servant Leadership. In the Diocese of San Joaquin, once the Council on Ministry has recommended an “aspirant” for postulancy, and the Bishop has made the individual a postulant, the next step in the ordination process is formal education. The decision on which school to select is made by the Bishop and the postulant; both of us, Nancy and Teri, are presently students at the School for Deacons. Trusting that all goes well, Teri will graduate in May 2014 and Nancy will graduate in May 2015. Dean Rod Dugliss describes the aim of the School for Deacons as: “… forming competent, confident, and courageous deacons to serve the world and the church in difficult times.” The curriculum is designed with specific courses in sequence, and includes between 9 and 14 units per semester. Classes are held every third weekend during the academic year. While the schedule is designed as a three-year course of study, some students elect to take fewer units and attend longer. The coursework – which includes Bible Studies, Prayer Book, Pastoral Care, Christian Social Ethics, and Organizing for Social Change – are stimulating and the professors dedicated and knowledgeable. But two other factors (at least) enrich the experience: the worship experiences and the community developed. Each school weekend consists of three worship services: Eucharist on Saturday and Sunday, and either Morning or Evening Prayer on Saturday. Although the Dean of Chapel directs all chapel activities, Chapel Priest normally presides and the Chapel Deacon is normally in attendance, students perform all other functions, including preaching and officiating at morning and evening prayer. Because one important way that deacons invite the people into worship is through song, this includes chanting at various times. Worship services are a highlight of the weekend for both of us! The community formed at School for Deacons is a powerful aspect of our formation. Each class is formed into cohorts that take all classes together. Teri’s class has six members, and Nancy’s has five full-time and two part-time. The class of 2016 has twelve students! The nature of the material requires extensive sharing and openness, which leads to development of a close community, and the realization that the goal of all life is to live in community. Ordained Deacons can be described as “servant leaders,” two words that may seem a bit awkward together! If you think about it, though, they really do describe Jesus. He came to serve, and he came to tell us how to live. As baptized persons we are all called to love our neighbors; deacons help model and teach the church how to serve others. We’ve heard deacons referred to as Angels and Waiters – yes, we can live with that! We are also learning about Anglican Ethics. Maybe another two words you might not think go together, but we Episcopalians do have our unique way of injecting reason as well as building consensus into the mix of interpreting scripture. Early reading in this school year has brought the concept of Shalom as the core of Christian ethics. More than peace, Shalom means well-being (ours and also our neighbors), justice, abundance, joyous harmony, and the absence of violence. It is God’s creation as it was meant to be….It is how we are meant to live. So, we leave you with the kind of questions we’re asked to ponder – where was God in your day today? How did the Spirit move in the activities around you? How did you meet Jesus in the world? The School for Deacons formation experience will change all who enter and engage in it. We both consider ourselves blessed to be part of it. Last October Sr. Marie Margaret Fenelon was our guest at the Diocesan Convention. I was privileged to be a part of her hospitality team. I went with Andy Anderson and Fr. Connor Lynn to San Francisco. I was her driver to and from the visits with Stockton hosts and to Modesto. What a gracious guest she was during her stay here. She glowed with the love of Christ. During the last year she has kept in touch by email with news of the Foyer Notre Dame. She has included us in her prayers as we have the Sisters of St. Margaret, the Diocese of Haiti, and the residents of the Foyer in ours. This coming Diocesan Convention Sr. Marie Therese will be our guest. She will be bringing information from Haiti and the Foyer Notre Dame to the Convention. She will be hosted by the Holy Family Parish in Fresno and be available for one to one conversations in the exhibit area and at the meal events. I encourage you to get to know her during our time with us. Meeting the sisters face to face makes our friendship relationship with Haiti and the Foyer more tangible. I know that it has for me. Notices to every employee regarding the availability of health care coverage are due to every employee by October 1, 2013. You should have received a packet by email and in the mail. If you have any questions, please contact Canon Kate. The Fall Clergy Retreat will be held Nov. 3 – 5 at St. Anthony Retreat Center in Three Rivers. Mark your calendars now. More information will be available soon. 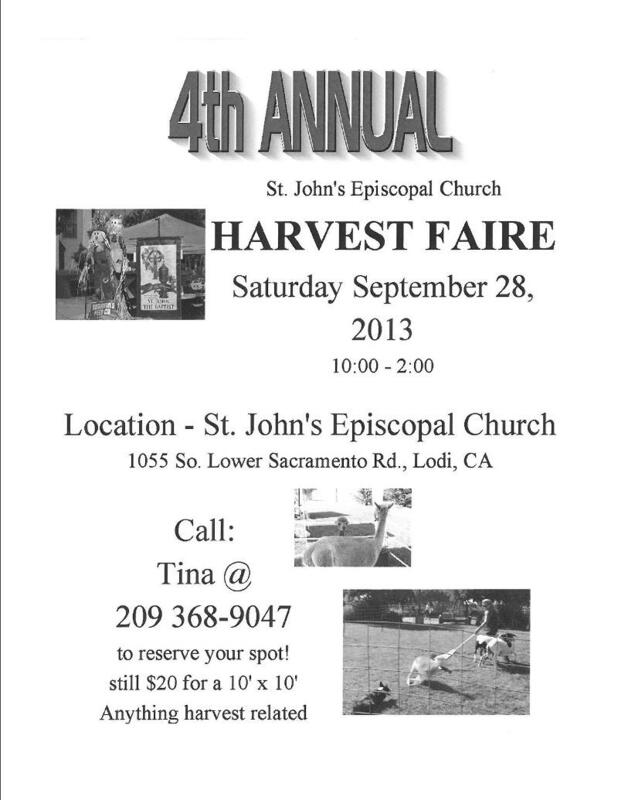 Plan to attend the Northern Deanery meeting at St. Francis church in Turlock on Saturday, October 5. In addition to preparation for the Annual Convention, the agenda will include a presentation by Cindy Smith, Chair of the Sustainability Committee, and the election of the Northern Deanery lay member of Diocesan Council. The meeting will begin promptly at 10 a.m. The members of St. Francis have invited the deanery to join them for a luncheon after the meeting that is part of their St. Francis celebration. Although voting members of the deanery are the clergy and the elected delegates to convention, all members of the Northern Deanery churches are invited to attend and participate in the meeting. Friday Reflection is taking a break September 27th. The next Friday Reflection will be October 4, 2013. Diocesan Council Teleconference Meeting, September 21, 2013, 10:00 a.m. The Episcopal Church of the Saviour in Hanford is initiating a new outreach ministry entitled G.I.F.T.S. (Gifts Intended for the Spirit) which will seek to provide for the emotional well-being of the disadvantaged in our local community. While through the work of our Soup Kitchen we daily feed the body, the purpose of G.I.F.T.S. 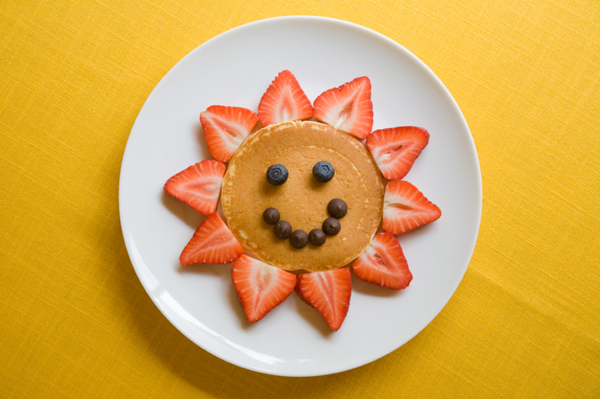 is to provide nourishment for the heart and soul. We want to make available such activities as a night out at the movies or at a local restaurant, a day at an adventure park or zoo, to many in our community for whom even these simple activities are a financial difficulty. The project will partner with local agencies – schools, churches, social services agencies – to help identify recipients. At the same we will be looking to solicit area businesses – movie theatres, eateries, etc. – to donate their services for the project. Friday, October 4, at 7:30 p.m.
It’s a new fundraiser and a way to invite the community in to St. Anne’s. Tickets are $15 and will be available at the door. Please join us. It’s really hard to make an argument for a loving, forgiving God when we read the Old Testament lesson this morning. God sure is patient with us. God must love us very much. Even the behavior of the Israelites in the desert didn’t cause God to abandon them. Although it seems clear that God was really pissed and ready to punish them, Moses reminds God of the promises and God relents. God must love us very much. In the Gospel this morning Jesus again has to remind the people how much God loves us. The Pharisees and scribes were really upset with Jesus’s behavior. In Luke Jesus actually tells three stories, the two we just heard and then the one about the prodigal son. All to emphasize how much God cares about us. One sheep out of one hundred, one coin out of ten, one son out of two. Our rejoicing at finding what was lost doesn’t compare to the rejoicing of God and the heavenly hosts every time God sees your smiling face. Have you experienced finding something that you thought was lost? Remember how it feels when you first realize that “something or someone” is missing? The little bit of annoyance can turn to panic as the search lengthens. When the object of the search is found there is relief and joy. So where is your safe place? You know the one place where you put something that you will be able to find it when you need it in the future? Experience has made me much better at designating a ‘safe place’ for documents. I, like the woman in the gospel, have spent many hours going through the whole house looking for an important document, that I know I put in a safe place. And when I finally found that important document, there was not the same rejoicing. Duh…I wouldn’t want everyone to know how careless/stupid I’d been. But every so often, something gets lost. My most recent experience was the mystery of my car keys. I was at my hairdresser in Dublin. After we were finished, I went to my car and quickly discovered that my keys were not in my purse. Now I know how things can hide in a woman’s purse, so I went back into the salon and proceeded to search carefully through all the pockets, and check the places I had been. I asked the receptionist if anyone had turned in a car key and fob. Soon several of the ladies in the salon were helping me by searching garbage cans and towel bins. I checked the parking lot. No keys. And they were not in plain sight in the car or the ignition either. Well, I called AAA thinking maybe I’d accidentally tossed them in the compartment with my sunglasses when I’d arrived. That seemed plausible. AAA arrived, unlocked the car, but no keys, anywhere – compartments, under front seats, in the back – no where. Oh and the alarm would go off every time we opened the door. Now what? I called Dave and asked him to bring me the extra set of car keys, which he did. I don’t know what kind of grumbling he did on his way over to Dublin on a Tuesday afternoon that was over 100 degrees in a truck with manual transmission and no AC. Little did he know when he promised for better or worse… No, I never did find those keys. As inconvenient as it is to misplace ‘something’, it is worse if ‘someone’ is lost. Whether you’ve experienced ‘losing’ a family member or have listened – as I have – with a friend or parishioner who has lost someone, there is no comparison to a coin or document. And those who have to deal with a loved one gripped with addiction and that lost (like the story of the prodigal son) can be devastating, but the joy of their return to wholeness is indeed the joy of all heaven rejoicing at the lost being found. Finding one that you love who has been lost…God feels that way about us all the time. It has been twelve years since ‘the’ September, 11. The meaning of that date changed from just another day to a day of death and destruction. Years ago, I read an article that talked about how “when the unimaginable happened, most of us retreated into the sanctuary of our homes and families until it seemed safe to stick our heads out again. That retreat, when it felt like the world was completely upside down, had many repercussions.” The phrase “when it felt like the world was completely upside down” caught my attention. I thought about the Pharisees and scribes. Jesus is an unimaginable event to them. His behavior was turning their world upside down. Things a good Jew was not suppose to do – he did! It seems as if they were retreating more into their “safe place”, the law. It seems that security for them was expanding the space between included and excluded. They want to get rid of the person who has turned their world upside down. What is the gospel message today? That all are loved by God. Paul’s letter to Timothy tells us “Christ Jesus came into the world to save sinners”. Me…you…and everyone else. 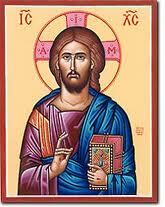 The Israelites had the prophets to guide them; we have Christ Jesus. And Jesus is telling us to come out, be in the world. Things are changing, the lines between them and us are being erased by Christ. We are reminded this morning that God rejoices in all beings – even those that we would want to exclude. As sinners, we are the ones who are lost. We are the ones that Christ will find, lift up and bring to safety, over and over again. That safety is found in the realization that God rejoices in our being. But we, too, can reach out to each other, to lift up those who are lost. Today we are asked to step out of our “safe places” and live in the world. For a day, can you put yourself in the other person’s shoes? Can you just simply rejoice and be glad along with God and the heavenly host when someone is found? To God we all are precious. AMEN. This morning’s sermons are going to be about the letter to Philemon. If you would like to hear about the OT and gospel – that will be the homily this evening at the 6 o’clock service. Onesimus is special to me because I was introduced to him by someone who was very special. Dean Shirley Woods taught our adult bible study on Sunday mornings at St. Clare’s for many years. She was a remarkable woman. A natural teacher, a lover of languages, a writer, someone who spoke the truth in love, even when the truth might hurt. We can read about her life in the publication “Modern Profiles of an Ancient Faith” published for the Diocese of California’s 150th Anniversary. But I remember her as someone who opened the scriptures through her weekly classes. And she gave us permission to wonder…wonder about the people that are mentioned in our bible…the regular, everyday people – like Onesimus. She spent the last years of her life writing a novel about the slave of Philemon. It was published in 2002, but never hit the best-seller list. I have my copy in a box with my other seminary books in a shed in San Ramon – still unread. But I know from her conversation that she used the knowledge of the culture of that time and place to tell the story of this man, Onesimus, of his life as a slave of Philemon, as he escapes, his encounter with Paul, and his conversion to ‘the Way’, which is known to us today as Christianity. He brings this letter from Paul to his earthly master – Philemon. I imagine that Dean Shirley spent many hours contemplating what life must have been like for Onesimus and the thoughts that would have gone through his head as he makes his journey. As with any author, there is no doubt something of herself in the work. Philemon, we can infer from Paul’s letter, was a successful businessman and leader of the Christian community in Colossae. Paul carefully appeals to him to do the right thing. After acknowledging that Paul could “just command him to do his duty”, he appeals to Philemon to do what is right because of his love of Christ. Oh, and consider that the one that was useless to you has been a great help to me in prison – as I know you would have been if you were here. And whatever wrong Onesimus has done to Philemon, Paul says “charge that to my account.” Paul, who has suffered beatings and imprisonment and deprivations for the love of Christ and is a model for his fellow believers – tells him “charge it to my account.” In this letter is good news for us today. As we move through this life, we encounter teachers in many forms. The best ones will be models/reminders of the good news that we are brothers and sisters of Christ. We who have been useless, have been made useful. We won’t necessarily have an easy life, and we may experience more than our share of suffering, but we are promised that all will be well. AMEN. This is a call to Convention that is extended to everyone in the diocese. The convention will be held at St. Paul’s Church in Modesto, Friday and Saturday October 25 and 26. Clergy and Lay Delegates from each congregation are expected to attend, but each congregation should also send some other members to the annual gathering of the Diocese. Our theme this year is, “participating in God’s reconciling love”. In the spirit of that theme we will welcome back to Convention four congregations which have been restored to us. The Norm Freeman Quartet will bring wonderful music to us this year as they did at last year’s Convention. We have some business to do about our budget and our finances. We have work to do in preparation for the election of the next Provisional Bishop and we have elections to conduct. So, I invite you to a time of celebration, a time of music, a time of eating, a time of a little working, and a time of praising God in worship and song. Come to Convention. Everyone come, especially if you are not a delegate. I have heard it said that art is born of suffering. From what I have seen in Haiti, I believe it must be true. What is amazing to me in the Haitian culture is the appreciation for art and beauty in the midst of much suffering and misery. It seems as if every Haitian is an artist. Nearly every place you walk there is art displayed for foreigners to buy. Even though the people are very poor there is the amazing ability to make something beautiful out of virtually nothing. The paintings are bright and often produced on makeshift frames. A cottage industry has developed as some artists create metal carvings out of recycled oil drums. As you walk past people’s homes, whether a regular house, a crude structure or even a temporary tent (yes, the temporary plastic and canvass tents still abound) there is often a coffee can filled with dirt and a plant displayed near the threshold in an attempt to beautify the entrance. These coffee cans with growing plants reminded me of the Phoenix rising out of the ashes. Resurrection is the hope expressed by people everywhere in Haiti following the earthquake. Their art helps to express that hope. Some examples of Haitian art will be on display at our diocesan convention. Come and see. We have a rare gift in store: Joyce Tanner, our Diocesan Iconographer, will be presenting a series of workshops at St. Francis in Turlock. Learning to “write” an icon–which is really a form of prayer–is an ancient devotion. Joyce Tanner, a member of St. Paul’s, Bakersfield, will teach us, step by step, the process of putting prayer into image. The three workshops will begin on Friday, September 20, from 9 am to 4 pm, continue all day Saturday, and will conclude on Sunday from noon until 4 pm. St. Francis meets for Holy Eucharist at 10 am, so class members are encouraged to visit us that day. Joyce will supply all materials needed to complete an icon of ‘Christ, the Good Shepherd’ but if you already have your own brushes you are welcome to bring them. The cost for the 3 day workshop is $50. Snacks and beverages will be provided but please bring a sack lunch for Friday and Saturday’s sessions. St. Francis is located at 915 East Main St, Turlock, on the corner of Pioneer St. The class size is limited to 12 participants, so don’t delay! If you’d like to register or have any questions, please contact The Rev. Kathie Galicia at revkathie@hotmail.com, or 209-324-1677. This weekend we were blessed to have The Rev. Eric Law with us in our diocese at the Celebration of Ministry conference at ECCO. Fr. Eric is the Executive Director of the Kaleidoscope Institute, the author of seven books on leadership, and a nationally recognized presenter on church growth, leadership and congregational development. This weekend he presented some of his work and thinking about Holy Currencies. He spoke not only of the currency of money, but also about the currency of time and place, currency of relationships, currency of truth, currency of wellness and the currency of gracious leadership. I was struck most by his thoughts and examples in the use of the currency of relationship. He told of one church which hosted a Spanish speaking yoga group. Like many churches they had a landlord/tenant relationship where the host congregation gave the yoga group a key and collected the rent. After coaching by Eric the congregation tried to develop an intentional relationship with the yoga group by greeting them at the door when they came and trying to develop friendships. Eventually the yoga group unexpectedly responded by paying for a new parish hall floor in addition to their rent since they used the floor for their classes. Another congregation hosted numerous funerals and memorial services where a group from the parish typically hosted the receptions following the service in the church. After Eric’s mentoring the congregation decided to train all of their volunteer reception hosts and hostesses on listening skills and relationship building so that they could offer better and relational hospitality in addition to the food. The congregation doubled in size in a short time after that since people at the receptions had felt so welcomed. During the workshop I found myself wondering what might happen if in addition to our annual stewardship campaigns which most congregations implement in the fall (the currency of money); congregations also conducted a stewardship campaign in the spring which focused on the currency of relationship? You never know what great ideas such a stewardship committee might come up with given a focus on relationships versus money. Just an idea to pray about. 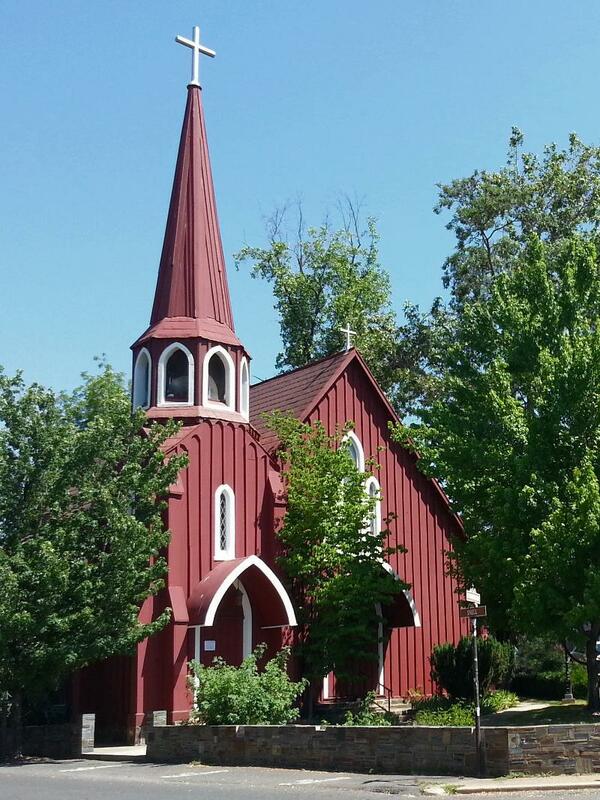 Did you know that the Society of St. Margaret began in 1855 in Sussex, England? Did you know that the Sisters of St. Margaret began their ministry in Port-au-Prince in 1927? 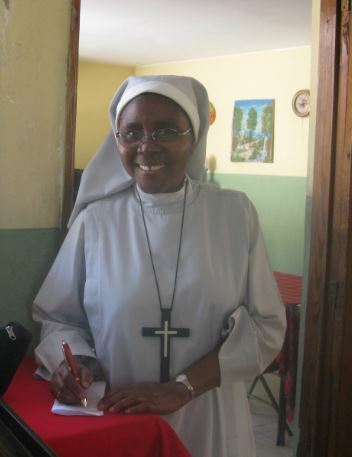 Did you know that in 1962 Sr. Marjorie Raphael established the Foyer Notre Dame in Haiti? Please visit the Sisters of St. Margaret web site (http://www.ssmbos.com) and learn more about their mission, history and incredible journey. You will be able journey with the Sisters of St. Margaret from their beginnings. The Society of St. Margaret was founded in Sussex, England in 1855 as a nursing order by the Rev. John Mason Neale. The order was called to care for the poor and ill in the countryside. Due to impact of their nursing, teaching and evangelizing, the order grew and houses were established in Aberdeen (1864) and London (1866). In 1873, the Sisters of St. Margaret came to Boston to Children’s Hospital. They soon established a School Embroidery, an Altar Bread Department, a Parochial School, and serving the hungry from a Soup Kitchen in connection with the Church of the Advent. 1881, due to the epidemic of smallpox the Sisters were called to Montreal. As the other calls came their works were developed in Washington, D.C.; Philadelphia, PA; Newark, NY; Bracebridge, Ontario; Lexington, KY, and in 1927 Port-au-Prince. In 1962, Sr. Marjorie Raphael established the Foyer Notre Dame with a grant from the United Thank Offering (UTO) to build a home for the elderly women in Port-au-Prince where six residents, life-long members of the Church could remain as long as needed. The home was close to the parish church of Notre Dame and so was known as the Foyer Notre Dame. (Dedicated April 29, 1962). In 1967, Sr. Marie Margaret was professed as the first native Haitian Sister. In 1994, an additional grant was made by the UTO and a house was purchased for the Foyer Notre Dame in Port-au-Prince, under the supervision of Sr. Marie Margaret, the Sister-in-Charge of the work in Haiti. Thirty Sisters have labored in Haiti since 1928. Foyer Notre Dame has continued through various challenges: political crises of the early 1990′s, hurricane 1994, and the earthquake of January 12, 2010. The Haitian people still face enormous challenges. Today the schools are run by the Diocese of Haiti; the Sisters continue to direct the Foyer Notre Dame and a scholarship program for the education of Haitian students. They direct the Altar Linen program, where the linens are hand embroidered by Haitian women, then sold to churches in the US and Canada. The Sisters are also members of various commissions within the Diocese. We hope you will visit web site (www.ssmbos.org) often to read the latest news from the Sisters. The Sisters work is entirely supported by donations. As The Rev. Harold Clinehens, Chair, Haiti Task Force, shared in the Friday Reflection of August 30, 2013, please continue to pray for our sisters and brothers in Haiti, and to raise monies for the support of Foyer Notre Dame. Nominations are due to the Chair of Nominations by September 10, 2013. One clergy and one lay person are to be elected to 4 year terms each at Convention. One at-large person is to be elected to a 3 year term at Convention. Four clergy deputies and four lay deputies along with clergy and lay alternates will be elected to a three-year term. Click here for Details of Positions. Click here for nomination form. Any member, clergy or lay, may be nominated from the floor of either a deanery meeting or convention but their names will not be included in the voter’s guide or printed on a ballot. Parish and Mission Audit Committee Teleconference Meeting, September 11, 2013, 10 a.m.
St. Matthew’s, San Andreas has a Tabernacle FREE for any parish that would like to have it. It is used and needs have a locksmith fix the lock. It is 19 3/4 inches high X 15 inches. Please call Saint Matthew’s Church in San Andreas at (209) 754-3878. Did you wonder what was left out of the story this morning? What happens in verses 2-6? Jesus has continued on his journey and is in another town. They’ve heard about him, though and the things he’s been doing. It’s another Sabbath and he is invited to have dinner at the home of one of the Pharisees. They’re keeping their eyes on him. As they make their way to the home, there is a man with dropsy, a condition of severe fluid retention. Jesus asks the lawyers and Pharisees, “Is it lawful to cure people on the sabbath or not?” They keep silent, so Jesus cures the man, then he reiterates that they would help their child or their animal even if it is the sabbath. And then they go into the home. Jesus watches the people jockeying for position at the banquet. We can safely infer that those sitting nearest the host are the most honored. It’s not any different today. Have you walked into a banquet hall – perhaps at a wedding or a company function – with open seating? Long ago I figured out that it is more advantageous to sit away from the front. Sitting at the front tables means being on your best behavior – where’s the fun in that? You need to pay careful attention to the speaker and what is going on. (Maybe that’s why people don’t want to sit in the front pews.) There’s a special spotlight of sorts on those “honored” guests, which spills over to those sitting near them. For the Pharisees and other Jewish leaders sitting “up front” was a symbol of success. Today we have our own symbols of success. At different stages in our lives, the symbols of success change. But if we ask those with wisdom, those who have lived six decades or more, they might say: family, friends, adequate living space and cash, sense of accomplishment, ability to take the time and do things. Spend some time thinking about what symbols represent success for you at this time in your life. What do you know about Labor Day? “Labor Day, the first Monday in September, is a creation of the labor movement and is dedicated to the social and economic achievements of American workers. It constitutes a yearly national tribute to the contributions workers have made to the strength, prosperity, and well-being of our country. Through the years the nation gave increasing emphasis to Labor Day. The first governmental recognition came through municipal ordinances passed during 1885 and 1886. From these, a movement developed to secure state legislation. The first state bill was introduced into the New York legislature, but the first to become law was passed by Oregon on February 21, 1887. By 1894, 30 states had adopted the holiday in honor of workers, and on June 28 of that year, Congress passed an act making the first Monday in September of each year a legal holiday in the District of Columbia and the territories. This morning we should mention the spiritual aspects of the labor movement. The unions did help those workers who were being treated unfairly. Labor laws that we take for granted have not always existed. A minimum wage and a limit to the hours and days of work without additional compensation. The group was able to have an impact and make changes that were impossible for an individual. Unions were begun to take care of the welfare of those who did the work, those who did not have the power to do it themselves. And they have been successful, but there are still laborers that need help. Being a follower of Jesus reminds us that we need to pay attention and do what we can to help those laborers. This notion is reiterated in Paul’s letter to the Hebrews. It gives us the action steps we need to follow to be successful as Jesus defines success. Show hospitality to strangers; remember those who are in prison or trouble. Invite those less fortunate or that you don’t really know to eat with you. We do so many things to help those who cannot repay us. You may not be aware of all the groups that use our facility. There are five different groups to help people live without addictions that meet at St. Anne’s. The Boy Scouts have been meeting here for years. We open our Parish Hall on Tuesday and Thursdays to Visions in Education – a tutoring service for those high school students that are part of a charter school or doing independent study. The Church of St. Charbel meets three Saturday evenings a month for worship in our church. By having a place to worship, they are forming a community and raising funds to be able to build their own worship space. As a part of this church community you are showing hospitality to some groups that cannot repay you. All in all, St. Anne’s is doing a good job showing hospitality to our community. Each week we are invited to share a meal with Christ. All are invited, to come to the rail and share equally. We are the poor, the crippled, the lame and the blind, and God feeds us. We can never fully repay God for the gift of grace that has been so abundantly given us, yet we are always invited. We can follow the example and reach out to those around us knowing we will be paid with a much greater reward than our effort has earned. This week I ask you to consider what you might do to show hospitality to those who are “poor, crippled, lame or blind” – literally or figuratively. Consider how you might help a stranger. Do a good deed. At the Eucharist come…eat. Then go and show the same hospitality to others. Amen. A few days ago I parked in front of my bank on the main street in town and was amazed to see a dozen or more little white receipts blowing all over the sidewalk. I commented to the man using the other ATM machine that people didn’t seem to care about what happened to their receipts or maybe they didn’t see the nearby trash can. He made some acknowledgement that indicated that he had heard but didn’t seem interested in more conversation. As I waited for my transaction to process, I bent over and picked up a few of the receipts littering the sidewalk. When my transaction was totally complete, I made a point of picking up all the receipts I saw on the sidewalk and put them in the nearby trash can. As I climbed into my car and started the engine, I noticed the man who had been at the neighboring machine was also done. Then, I was surprised to see him bending over picking up some receipts near his own car, one in the gutter and one near the front of his car. I wondered to myself, did I start him thinking about the trash or would he have done it on his own? I didn’t really know the exact answer to that question. Do we ever know what influence we might have on others? Do we ever know how our modeling, our simply act, might influence someone else? As a classroom teacher, I never really know if anything I say or do has a life-changing effect on my students, especially with the kindergartners I teach daily. Will they remember any of what I say, more importantly will they remember any of what we did together? Will they remember the hugs, the challenges, the successes, the caring environment I try so hard to create? What about Jesus, he taught his disciples with stories and hoped his own life would be a model to others. He compared real things with our lives. Our faith is like a mustard seed. He compared people saying, Don’t be like hypocrites. He washed his disciples feet to model how to serve others. He hoped that his modeling would be seen by others so they might act more faithful and loving. His most famous biblical quote might be the key to all that we model in our lives. As I thought about this man seeming to model what I had done, I wondered what other actions do I model? What do I model toward my students? What do I model to my congregation and my friends? What do I model as a believer to unbelievers? Our greatest act of Christian witness to the world comes in how we live our life. Like good stewards of the manifold grace of God, serve one another with whatever gift each of you has received. 11 Whoever speaks must do so as one speaking the very words of God; whoever serves must do so with the strength that God supplies, so that God may be glorified in all things through Jesus Christ. To him belong the glory and the power forever and ever. (1 Peter 4:10) Amen. Due to the vision and the encouragement of our bishop, The Rt. Rev. Chet Talton, we’ve been engaged in a friendship with the Episcopal Diocese of Haiti for almost two years. The major focus of our efforts has been to support the Foyer Notre Dame, a home for indigent older women in Port au Prince. The Foyer is lovingly and efficiently run by the Sisters of St. Margaret and seeks to house, feed and care for seven residents at this time. About half of the Foyer was destroyed in the 2010 earthquake and the hope is soon they will be able to house more ladies. It costs $200 per month to house and care for a resident and our goal his year was to sponsor all seven residents for the year. While there are many other things we could do and might do to support the people of the Episcopal Diocese of Haiti, the continuing sponsorship of the residents of Foyer Notre Dame is not only attainable, it is tangible and direct. The Sisters of St. Margaret are 100% accountable, and the money we send to them goes directly to the support of the residents of the Foyer, who would certainly be homeless without the Foyer. In 2012 we sent around $11,000 to Haiti for Foyer Notre Dame, and this year, as a result of a Diocesan-wide Pentecost Ingathering, we have sent slightly over $8,250, a good portion of which went to the improvement of toilet facilities at Foyer Notre Dame. During our Diocesan Convention in October, we will have the opportunity to get acquainted with Sister Marie Therese, who is the Sister in charge of Foyer Notre Dame. She is a delightful woman and never misses an opportunity to help someone in need. I am glad you will be able to meet her yourselves. In the meantime, please continue praying for our sisters and brothers in Haiti, and to raise monies for the support of Foyer Notre Dame. It would be very good if our giving this year exceeded that of last year. 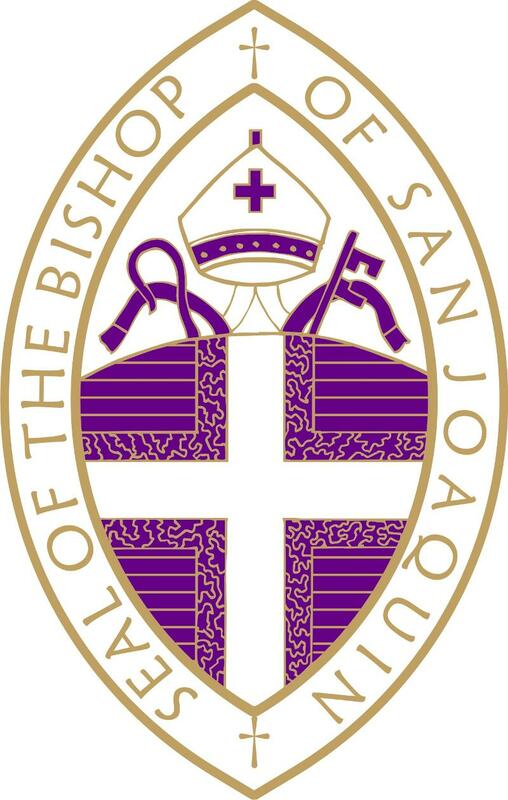 The Diocese of San Joaquin is a member of The Episcopal Network for Stewardship (TENS), an organization committed to inspiring generosity and faithful discipleship. A primary benefit of membership is that all congregations throughout the diocese have access to the 2013 Stewardship Narrative Series, a program designed to complement and support the fall annual giving program. The series is now available in English Spanish, Chinese and Korean. To access the material contact the diocesan office for the username and password to our TENS account. Seven Bulletin Inserts to include Worship Bulletins, E-Newsletters, E-Blasts beginning October 6th through November 10th. Each reflection includes discussion questions that can be used for adult formation gatherings. Prayer over the Pledge Cards to be used at the in-gathering of pledges. If you are looking to learn best practices in using the Flourish in Faith Series for this year’s fall pledge campaign, sign up for a free webinar on September 18th hosted by The Episcopal Church Foundation. Led by TENS Board Members The Rev. Angela Emerson, Stewardship Missioner, in The Episcopal Diocese of Vermont and JR Lander, President of TENS, and Vicar of St. Columba’s in the Diocese of Olympia, who will share how to effectively plant the seeds of faithful giving in your congregation using the Flourish in Faith Narrative Series. We give thanks to the ministry of The Episcopal Network for Stewardship for their work in inspiring generosity and faithful discipleship.